Tomorrow is the JEEP SHOW! Join us for our annual JEEP SHOW! 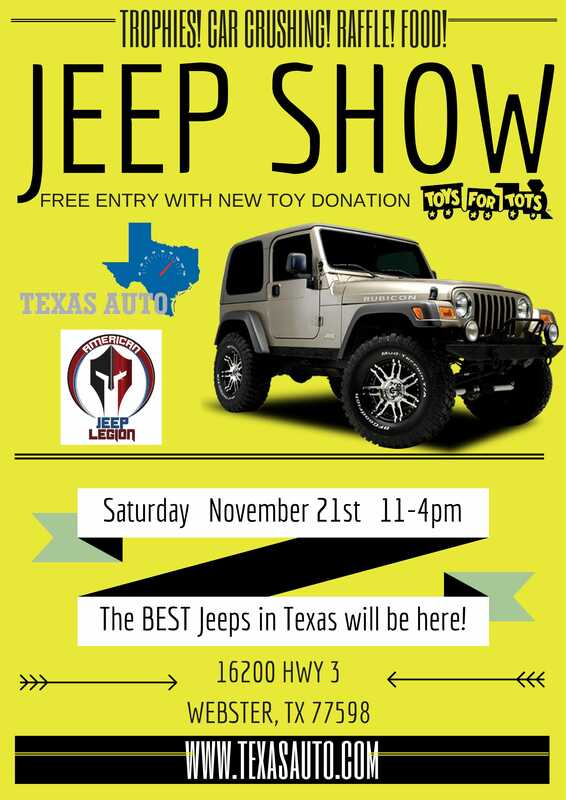 The BEST Jeeps in Texas will be here! CAR CRUSHING! TROPHIES! FOOD TRUCK! Free entry with new toy donation for Toys for Tots! Fill the JEEP! Marines will be on site to collect toys! The last thing any driver needs is a vehicle that breaks down in cold, harsh winter weather. A free Texas Auto 23 point inspection check before the temperatures drop is a sensible way to avoid the inconvenience of being stranded out in the cold and with the unexpected expense of emergency repairs. Texas Auto recommends the following nine steps for winterizing your vehicle. Other best practices are keeping the gas tank at least half full at all times to decrease the chances of moisture forming in the gas lines and possibly freezing. Drivers should check the tire pressure of the spare in the trunk and stock an emergency kit with an ice scraper and snow brush, jumper cables, flashlight, flares, blanket, extra clothes, candles/matches, bottled water, dry food snacks and needed medication. 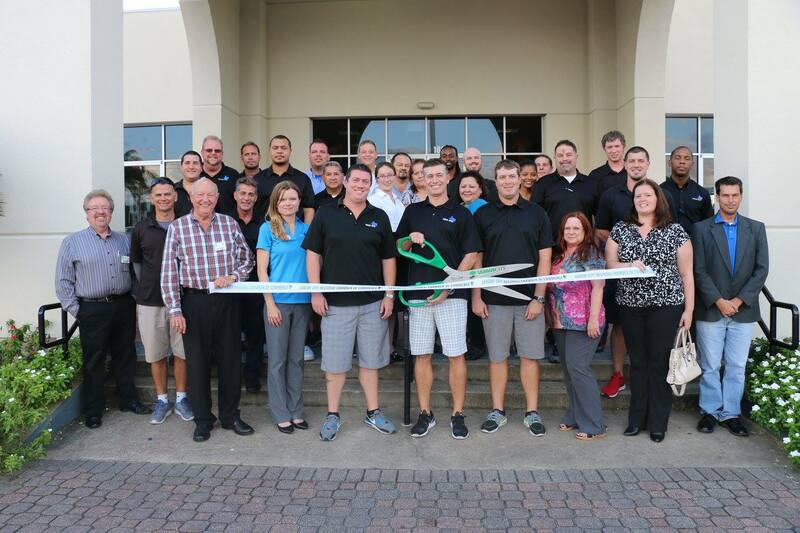 League City Regional Chamber of Commerce! 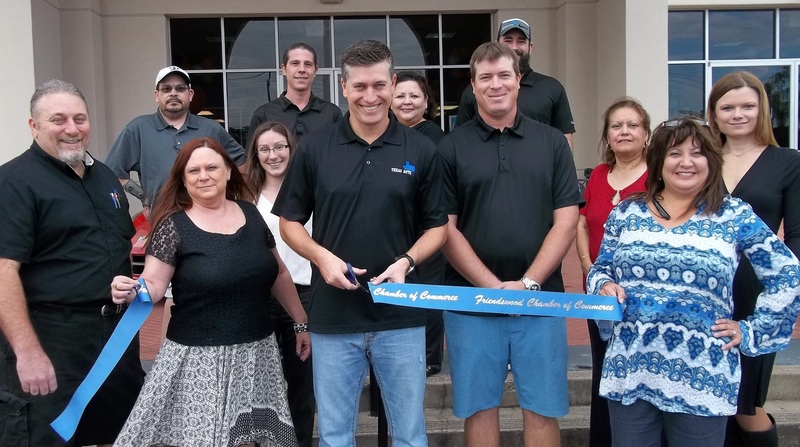 Texas Auto is now a proud member of the Friendswood Chamber of Commerce! 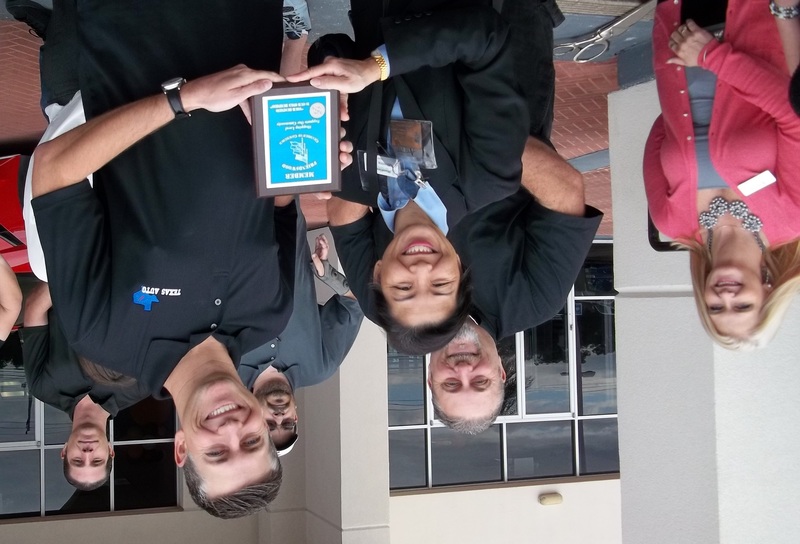 Jeep Show – November 21st! Toys for Tots event! 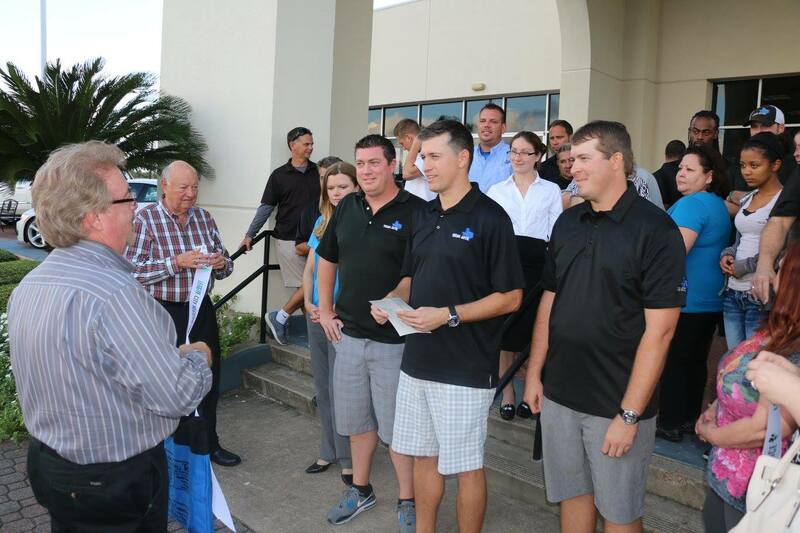 Click here to find out more information about the Jeep Show! What are you most grateful for? Giveaway! CLICK THE BANNER TO ENTER OUR GIVEAWAY!